An epidural steroid injection includes both a long-lasting corticosteroid (e.g., triamcinolone, betamethasone) and an anesthetic numbing agent (e.g., lidocaine, bupivacaine). 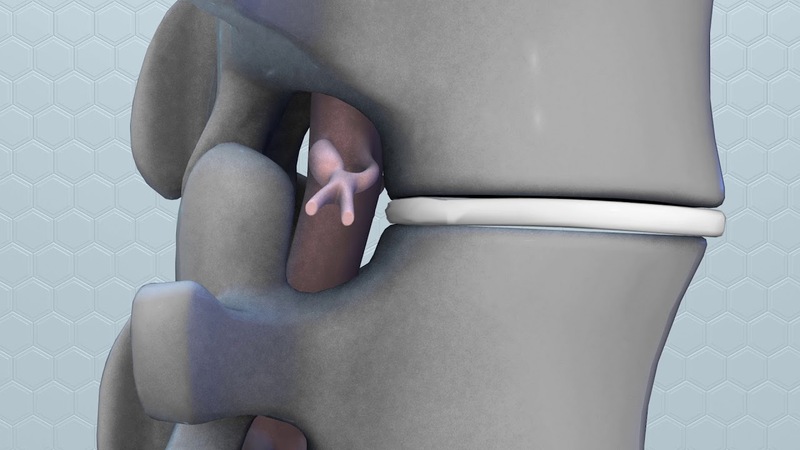 The drugs are delivered into the epidural space of the spine, which is the area between the protective covering (dura) of the spinal cord and the bony vertebrae. This area is filled with fat and small blood vessels. The epidural space, which lies between the dura mater and the bony vertebra, is filled with fat and blood vessels. The dural sac surrounds the spinal cord and nerve roots and contains cerebrospinal fluid. Corticosteroid injections can reduce inflammation and can be effective when delivered directly into the painful area. Unfortunately, the injection does not make a herniated disc smaller; it only works on the spinal nerves. The pain relief can last from days to years, allowing you to improve your spinal condition with physical therapy and an exercise program. Sciatica: Pain that courses along the sciatic nerve in the buttocks and down the legs. It is usually caused by compression of any of the lumbar nerve roots but typically involves the 5th lumbar or 1st sacral spinal nerve. ESI has proven helpful for some patients in the treatment of the above painful inflammatory conditions. ESI can also help determine whether surgery might be beneficial for pain associated with a herniated disc. When symptoms interfere with rehabilitative exercises, epidurals can ease the pain enough so that patients can continue their physical therapy. ESI should NOT be performed on people who have an infection, are pregnant, or have bleeding problems. It may slightly elevate the blood sugar levels in patients with diabetes, typically for less than 24 hours. It may also temporarily elevate blood pressure. The needle is placed between the lamina of two vertebrae directly from the middle of the back. Also called interlaminar, this method accesses the large epidural space overlying the spinal cord. Medication is delivered to the nerve roots on both the right and left sides of the inflamed area at the same time. Translaminar injection Translaminar injection (cross-section view of vertebral column) shows the needle inserted into the epidural space behind the spinal cord to deliver steroid medication to the inflamed nerve root. The needle is placed to the side of the vertebra in the neural foramen, just above the opening for the nerve root and outside the epidural space. Use of a contrast dye helps to confirm where the medication will flow when injected. This method treats one side at a time. It is preferred for patients who have undergone a previous spine surgery because it avoids any residual scars, bone grafts, metal rods, and screws. Transforaminal injection (side view of vertebral column) shows the needle placed in the neural foramen to deliver steroid medication to the inflamed nerve root. Many patients experience some pain relief benefits from ESI. For those who experience only mild pain relief, one to two more injections may be performed, usually in 2-4 week intervals, to achieve full effect. The benefits of ESI tend to be temporary. Duration of pain relief varies, lasting for weeks or years. More importantly, timing of injections should coincide with the start of a physical therapy and/or home exercise program to strengthen the back muscles and prevent future pain episodes. With few risks, ESI is considered an appropriate nonsurgical treatment for some patients. The potential risks associated with inserting the needle include spinal headache from a dural puncture, bleeding, infection, allergic reaction, and nerve damage / paralysis (rare). Corticosteroid side effects may cause weight gain, water retention, flushing (hot flashes), mood swings or insomnia, and elevated blood sugar levels in people with diabetes. Any numbness or mild muscle weakness usually resolves within 8 hours in the affected arm or leg (similar to the facial numbness experienced after dental work). Patients who are being treated for chronic conditions (e.g., heart disease, diabetes, rheumatoid arthritis) or those who cannot temporarily discontinue anti-clotting medications should consult their personal physician for a risk assessment.